Did آپ Know?. . Wallpaper and background images in the Avatar: The Last Airbender club tagged: avatar the last airbender did you know? tumblr. This Avatar: The Last Airbender photo contains ڈاؤن لوڈ ہونے والے, مزاحیہ کتاب, منگا, کارٹون, ہالی ووڈ, and کامک بُک. Actually, I did notice this. 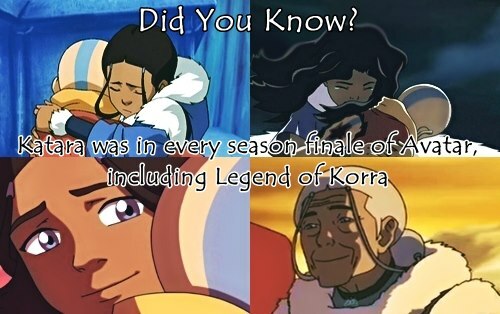 I think it symbolizes how important Katara is in this series: She is the original storyteller, and she is the link to both Avatars.